10 Things To See in Rome March 22, 2015 · 22 min. readThis article may contain affiliate links. Spanning a history of over two and a half thousand years, Rome is known as the birthplace of Western civilization. Rome is responsible for many things we have today, such as sanitation, medicine, education, public order, irrigation, roads, a fresh water system, and public health. Rome is responsible for much more than that, such establishing Christianity, the stabilization of Europe, Northern Africa and the Middle East, and is one of the major centers of the Italian Renaissance. From the Roman Forum to the ancient Pantheon, Rome's architecture spans several religions, several empires and countless wars, but still somehow remained enact and is still used to this day. Listing all the "must see" locations in Rome would be impossible, as the entire city is a massive museum locked in time, but I will do my best to give you an idea of what to expect in the Eternal City. If there's an icon building in Rome, it's the Colosseum. Construction on the Colosseum began in 70 CE with spoils used from the Sacking of Jerusalem. The building would grow to become the largest amphitheater in the world. Being able to hold between 50,000 to 80,000 people at a time, the Colosseum is even comparable in size to todays stadiums. Although known as the Colosseum today, it was originally titled "Amphitheatrum Flavium", or the "Flavian Amphitheater". It is known as the Colosseum due to the ancient statue, the "Colossus of Nero", which stood next to the building during ancient times. During the Middle Age, the statue was torn down and used for it's bronze, and the amphitheater was raided, with the massive bronze nails pried out, leaving holes can still be seen today. With the statue gone, the "Amphitheatrum Flavium" adopted the name of the statue, and became has since been known as the "Colosseum". Throughout its history, the Colosseum has been used for gladiatorial contests, mock sea battles, animal hunts, battle re-enactments, dramas and executions. The belief for many hundreds of years was that early Christians were executed in the Colosseum. This belief has been disapproved. 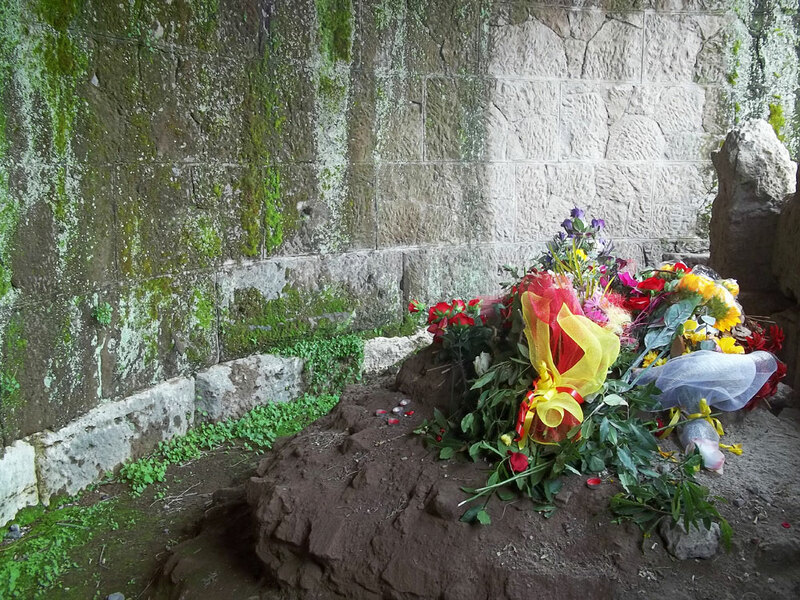 If any Christians were executed here, they were executed for criminal actions, and not for religious reasons. After the Middle Age, it was used as housing, a cemetery, a workshop, a fortress, a quarry, and a Christian shrine. It has also been proposed in modern times to convert it into a wool factory or for bull fighting. Today it is seen as an international symbol against capital punishment. Whenever a person condemned to death anywhere in the world is released, the lights of the building are change from yellow to white. The same thing is done when a jurisdiction abolishes the death penalty, with the most recent one being in April, 2009. Not far from the Colosseum is the Roman Forum, or simply "The Forum". This plaza was the nucleus of Rome, with everything from merchants to parades to trials and gladiator matches occurring here. Some say this plaza is the most celebrated meeting place in the world. It was home to some of Rome's most famous political buildings, such as the Senate, and religious shrines. Over time, trade and celebration moved to the nearby Basilica Aemilia, as did the government offices and religious centers. After the Fall of Rome, the Forum's old buildings were converted into Christian temples and then, they too were abandoned and the plaza fell into ruin. In the 8th Century it was known as a "cattle field", as the structures were being torn down and the bricks used to build towers and castles elsewhere. When these towers were torn down 500 years later, the plaza became a dumping ground and any remaining buildings were buried and forgotten. In the 1300s the area was excavated and used a quarry for building supplies. It wasn't until the 1800s that a proper excavation has begun, and it took another 200 years for it to complete. Many of the ruins are mashed together as newer buildings were built on the ruins of the older ones. Restoration and additional excavation continues today to help uncover the history that has been lost. Also known as the Temple of the Comet Star, the Temple of Caesar is one of the buildings discovered in the Roman Forum. Once a grand temple sitting in the Roman Forum, sacking, deconstruction, and negligence destroyed the temple, leaving only the alter intact. Although not nearly as impressive as Napoleon's Tomb in Paris, the Temple of Caesar and the assassination of Julius Caesar were turning points for the Roman Empire.On the day of his death, and seven days after, a comet flew over the sky near the setting sun. Those who saw it believed it was Caesar's soul being welcomed among the gods and the bringing of a new age. Augustus used this as a symbol that the Roman gods were giving him the right to lead the empire, and claimed he was officially "born" with the passing of this star, and to go along with the Messianic prophecies, made him the new ruler of the world. Those who question the biblical accounts of Jesus Christ's birth claim that it is this star, and Augustus's statements, that inspired the story of the Star of Bethlehem. Trevi Fountain is the largest Baroque fountain in the city and one of the most famous fountains in the world. The legend is that in 13 BCE, three thirsty Roman Soldiers were led to a freshwater spring on the outskirts of Rome by a young girl. In honor of this, Augustus built an aqueduct leading the water from the spring into the city, naming it "Aqua Virgo", or "The Virgin Waters", after the young girl. This aqueduct served the city for over 400 years. 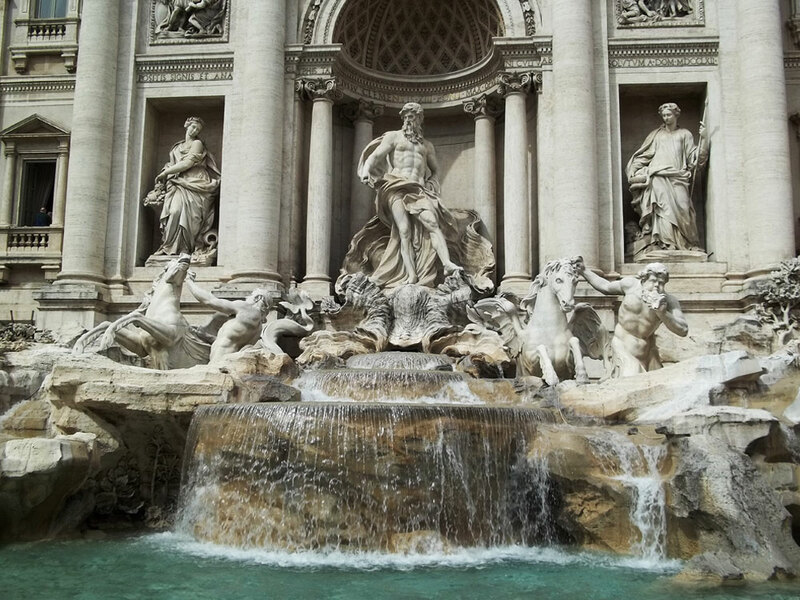 In 1629 Pope Urban VIII found the fountain to be boring, and asked Gian Lorenzo Bernini to sketch possible renovations. Pope Urban VIII died before these sketches could ever be completed, and it wasn't until a hundred years passed, in 1732, that construction began. It would last 30 years until finally completed in 1762. Tradition is to throw a coin into the pool surrounding the fountain, from your right hand over your left shoulder. This was popularized in the 1950s with the song "Three Coins in the Fountain". It is estimated that over €3,000 are thrown into the fountain each day from tourists. This money has been put towards building a more affordable supermarket in Rome for the needy. 5. The Mouth of Truth. The origins of the Mouth of Truth are unknown, as what it was used for originally. Some believe it may have been a man-hole cover, while others believe it was part of a fountain. It is speculated to be the face of one of the Roman gods. The Mouth of Truth is famous not for it's history, but for what it is now used for. 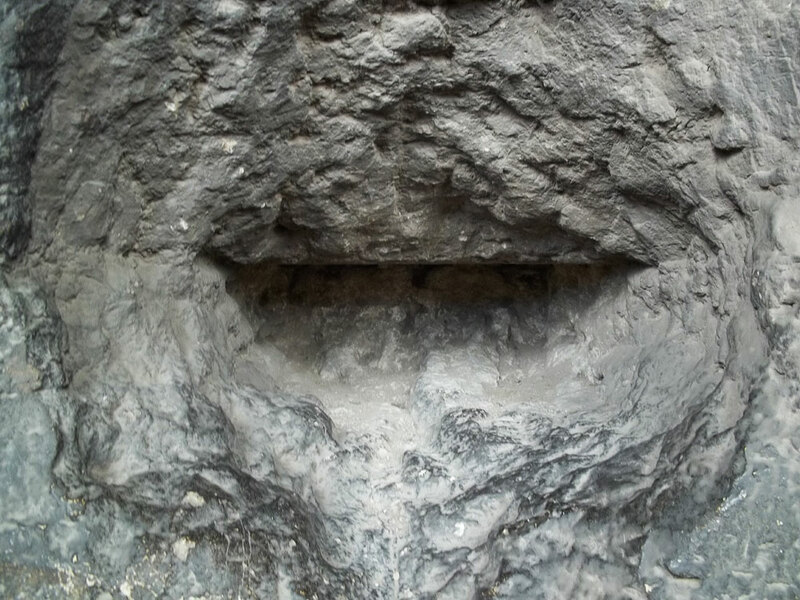 Situated in the porch of e Santa Maria in Cosmedin, which contains the remains of St. Valentine, the Mouth of Truth is used as a lie detector. The story goes that if you place your hand in the statue's mouth and lie, the statue will bite your hand off. This was popularized from the 1953 film Roman Holiday. Naturally, this doesn't actually happen. As I said during my time in Rome, the reason for this is because of an adulterous woman who tricked the Mouth of Truth into not biting her. The story goes that after this woman cheated on her husband, he found out. Without evidence to back the claim, they decided to take the woman to the Mouth of Truth and have it decide if she was innocent or guiltily. The man formed a congregation to take his wife to the Mouth to make her crimes public. On the way to the Mouth, a crazy man jumped out of the crowd, ran up the wife, kissed her and then ran away again. Arriving at the Mouth, the woman put her hand in and claimed the only man she's ever kissed was her husband and the man who kissed her on the way there. The Mouth knew that the crazy man who kissed her on the way to see the mouth was actually her adulterive partner, so in anger it stopped working. While in Rome, I believed the Mouth of Truth was in a plaza of sorts, not inside a church. Because of this I wasn't able to get inside before it closed, and I have no pictures of it. However, several of my friends went inside, posed with it and got their picture taken. While trying to find the Mouth of Truth, I stumbled upon a much lesser known treasure of Rome: The Aventine Keyhole. This keyhole belongs to the gate on Aventine Hill, a hill known as being one of the original "Seven Hills of Rome". According to local lore, the building on the property where they keyhole leads to used to belong to the Priory of the Knights of Malta, a legendary religious order. They keyhole is important not because of what sits on the property, but what can be seen from looking through it. 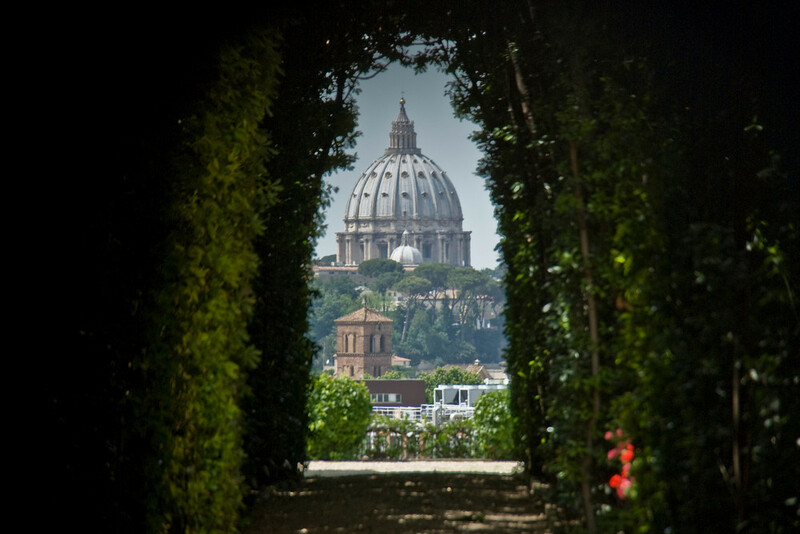 Looking through the keyhole reveals a tree lined road, dropping into a beautiful view of Rome with Saint Peter's Basilica directly in the center. With so little known about this keyhole, and the property in question, it isn't known if this was intentional or a very lucky coincidence. The picture I took didn't really turn out, and I didn't have the opportunity to take another one as for some reason that I still don't understand, Rome's bio-hazard emergency team arrived, brandishing some kind of machine gun. I didn't want to know what was happening, so I left immediately afterwards. Here is a proper picture taken by Everything Everywhere. Although officially an independent state of Rome, the Vatican City is situated in the heart of the beautiful city. Being the head of the Christian Church, the Vatican City is home to the Pope. It's main plaza, St. Peter's Square, is famous for the massive crowds that gather when the Christian community require guidance for problems around the world, such as natural disasters, terrorism, war or disease. Besides St. Peter's Square, the Vatican also has the St. Peter's Basilica, the Sistine Chapel (Europe's most beautiful Christian church) and the Vatican Museums. These buildings only make up a small portion of the Vatican's territory. The majority of the Vatican is the Gardens of Vatican City, which is a massive garden full of statues, artifacts, antiques and fountains. Originally claimed "sacred land" by the Romans, there were no structures on the area that is the now the Vatican. This changed in 69 CE when an army invaded Rome and decided to set up camp on these grounds. The story claims many members of the army who stayed on the land got sick and died, and the army was forced to move. The obelisk in St. Peter's Square was taken from Heliopolis, now part of modern day Cairo and situated where St. Peter was crucified upside-down. The area around it then became a cemetery where funeral monuments, mausoleums, and small tombs were found, as well as altars to pagan gods. Gaining political power in Italy, the Vatican ruled the Papal States throughout Italy for over 1,500 years until the Kingdom of Italy took over in the mid 19th Century. The Vatican became independent on 11 February 11th, 1929. During World War II, the Vatican claimed neutrality to both the Allies and the Axis, of whom Italy was aligned with. The protection of the Vatican was of uttermost importance so Rome requested that no bombing raids take place over the city as they may violate the neutrality. The Americans agreed, but the British said they would bomb Rome if Italy forced them too. On July 19th 1943, during the invasion of Sicily, 500 planes bombed Rome, aiming far from the Vatican at the railway hub. This bombing killed over 1,500 people and Pope Pius XII personally visited the site of the attack. A month later another raid took place, and Rome was declared an "open city", which is a city that another country can simply invade without the use of force as to protect the Vatican. With a curious name, one would be confused as to why the Spanish Steps are in an Italian city. The steps weren't a gift or a memorial for a war or anything of that sort. Instead, the Spanish Steps got their name for simply being close to the Spanish embassy in Rome, which is in the plaza where the steps begin. Completed in 1725, the 135 step staircase helps connect the plaza below to the church above. The steps have since been repaired several times, the most recent in 1995. As you can probably tell, the steps aren't that exciting; but that's because it's the view from the top that is! At 135 steps above the plaza, the Spanish Steps capture the best view of Rome from above. From the top, you can see the winding streets, the busy intersections, the crowds of people and the beautiful architecture all in one glance. Because of this incredible view, many buildings around the steps have been converted into hotels and roof-top restaurants. Being said, the hotels are very expensive, around $450 a night, so you may prefer just climbing the steps, seeing the view, checking out the church and heading on your way. The Pantheon is one of Rome's best kept architectural structures, however it is the third structure to be built in that location. The first one, built in 80 CE, burnt down by a fire. The second one suffered a similar fate in 110 CE after being struck by lightening. The current one, just shy of 2,000 years old, was built between 118 and 128 CE. Built to appear like a temple, the gods that were placed within it have no set religion. It is believed by some that these statues were simply to give the emperor a more divine backdrop. Being non-Christian in nature, when Italy became a Christian state, the pagan statues were removed and destroyed, and Christian objects were placed there instead to ward off the "demons" that were worshiped there before. From there, the Pantheon became a tomb, holding the bodies of famous Roman painters, composers and architects. The bronze ceiling was removed during the Middle Ages and was melted down, and many of the columns surrounding the structure were taken down for new buildings to be built. 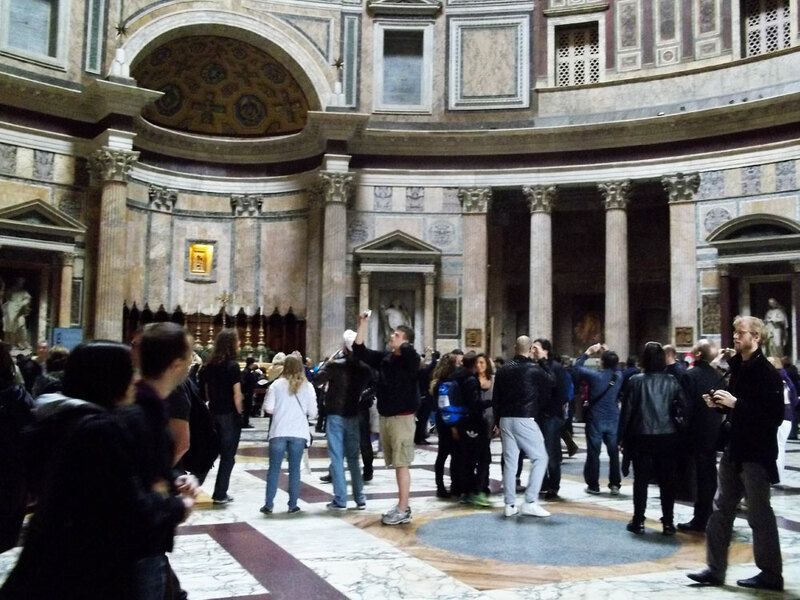 Currently, the Pantheon is used as a church, and is used for things like masses, baptisms and weddings. While doing research into what people say are the best things to see in Rome, the Catacombs appeared on several lists. Built in the 2nd Century CE, the catacombs were used to bury thousands of bodies due to overcrowding and shortage of land. The pagan custom was to burn the corpses and make them into ash, but the Christians believed the dead would rise during Christ's return so the bodies should be remain enact. Without being allowed to bury their loved ones within the city limits, slaves were hired to built the massive 375 miles of catacombs to store the deceased Christians. Around the year 400 CE, Christianity became the state religion and popularity of the catacombs declined. Only martyrs were buried in them, and even that was often rare. During several invasions and sackings of Rome, the catacombs were often violated with the invaders looking for valuables. By the year 1000, they were abandoned, with any valuables within them either stolen or put on display in above ground temples. The catacombs were rediscovered in the late 1500s and an extensive study was done on them in the 1800s. In 1956 and 1959 additional catacombs were discovered closed to Rome, covered in early Christian symbolism. 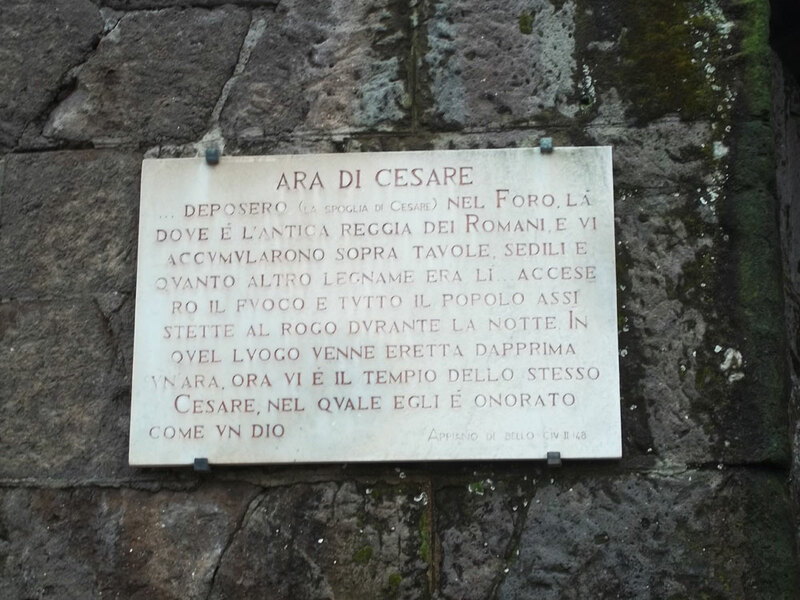 Because of these, they have become an important monument of the early Christian Church, and have quickly became a tourist attraction, with tours being offered at several of the different catacombs. In case you haven't heard, Super Tuesday was last Tuesday and everybody's most disliked presidential candidate, Donald Trump, did very well. He didn't do as well as predicted, but he did well enough that he is now officially taken the lead for the Republican nomination. While the Republicans struggle to find some way of stopping Mr. Trump, many Americans worry about the future of their country. As a result, many Americans have been thinking about moving to Canada. While similar statements were made when marijuana and gay marriage was legalized, "How to move to Canada" spiked 1000% on Google after last Super Tuesday. In fact, the Nova Scotia tourism website got more traffic in a single day then it did all last year and the Canadian immigration website was having difficulties handling all the traffic, so it seems that a lot of people are wondering if they should move to Canada. As a Canadian I feel it is my duty to highlight some of the reasons why somebody – particularly an American – should consider moving to Canada.